In 1797 about 600 acres of land was purchased by George Boyette from the State of North Carolina. 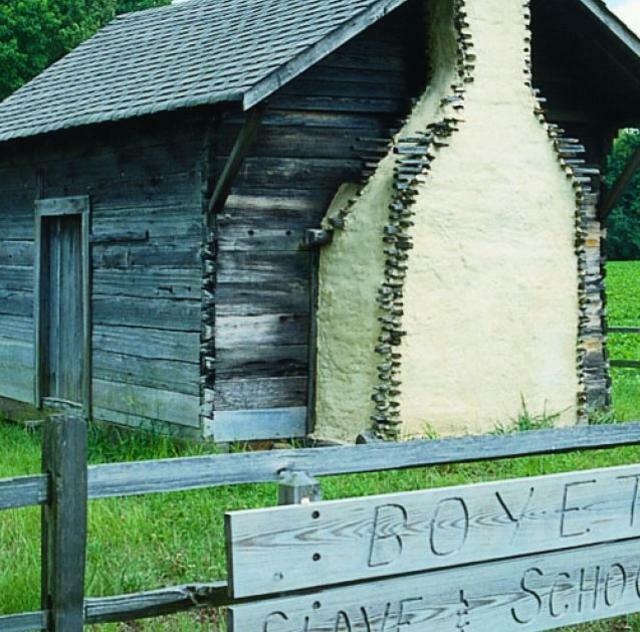 In 1830's a structure was built as a dwelling for the few slaves owned by the Boyette Family. Most of the original buildings were made of pine timber from the farm. Corners are dovetailed and pegged. The chimney was made of heart of pine sticks and daubed with clay base mortar. 1890-1910 the building was used as a neighborhood school. In 1991, the building was restored by the Boyette Family and was placed on the national Register of Historical Places. Location: Take 222 West at stoplight in Kenly, I-95, Exit 107. Travel approximately 5.2 miles to the crossroads. There will be a white house on the right. Take a left onto State Road 2110. Travel .2 of a mile. Boyette Slave and Schoolhouse is on the right.